This essay first appeared in the winter 2010 issue of Brick, a literary journal based in Toronto. It is posted here by permission of the author. Michelangelo said he could sense the figure in the uncut stone; his job was to chip away marble till it emerged. Inuit sculptors say the same thing. And that makes sense to me. Cadence is the medium, the raw stone; the poem is already sustained in it. And writing means cutting away everything that isn’t the poem. You can’t “write” a poem, in fact—you can only help it stand free in the torrent. Most of my time with a pen is spent giving words, images, bright ideas that are borne along in cadence their permission to stay off the page. The poem is what remains; it is local cadence minus whatever is extraneous to its shapely articulation. A bad poem, on the other hand, is something a poet made up. Apart from the remarkable feat of gaining the trust of his subjects, who seem mostly oblivious to the camera’s presence, King imposes as little as possible on their daily routines. Silence and stillness interest him as much as talk and event. The patience he brings to his characters is the cinematic equivalent of a good bedside manner. There is no thesis. His task, we soon learn, is to locate and remain true to the particular cadence of the lives unfolding in front of him. The small story of how I came to be reading about poetry instead of thinking about film may actually be an example of “local cadence” at work too. It was August. I was at our rented cottage in the Laurentians, looking forward to a laptop session with these two documentaries. 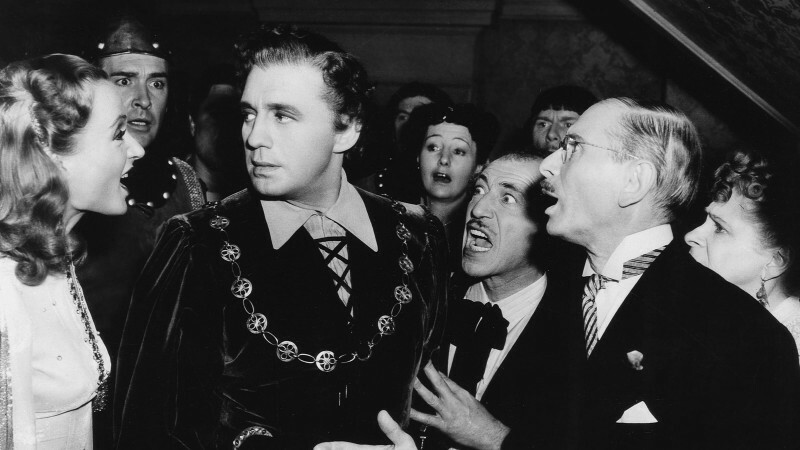 (King preferred the awkward term actuality dramas.) 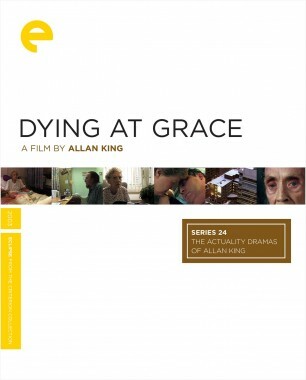 I had seen them both—Dying at Grace was screened at the Toronto International Film Festival in 2003—but I wanted to revisit them before adding my little bucket of praise to the tributes that have appeared since King’s death this year. Tributes always arrive too late. 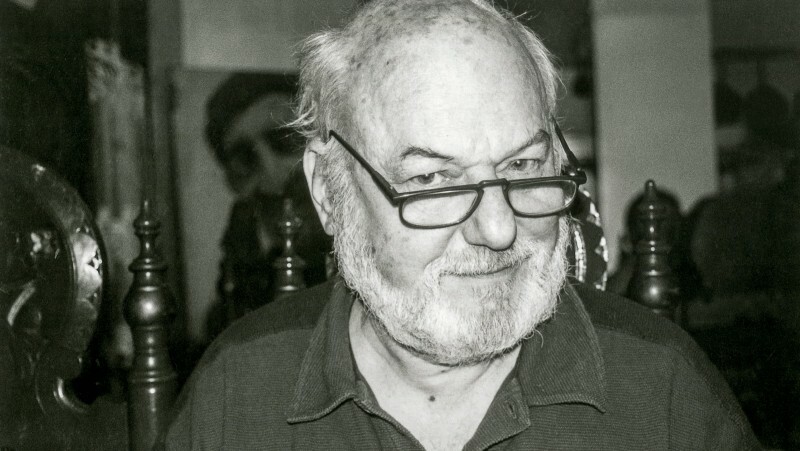 Despite the recognition he received during his lifetime from the international film community, I felt King hadn’t acquired the public acclaim he deserved, especially in Canada. (That old story.) Or perhaps his low profile was merely in keeping with his anti-auteur—or über-auteur, depending on how you look at it—self-erasing philosophy of filmmaking. So on a still, overcast day, I sat down at my computer to watch Dying at Grace in the woods (my idea of a good time, by the way). My plan was to take notes and come to useful conclusions. I pried open the copy of Dying at Grace I’d brought from Toronto. Empty! Hmm. The local dépanneur, with its aisle of used Spider-Man videos, was not likely to stock a 148-minute documentary about old people dying in real time. Mail or couriers weren’t an option. I didn’t entirely trust my memory. The piece would have to wait until I was back in the city. Poutily, I picked up a random book and headed down to the dock. It turned out to be Body Music. In the essay I mention above, Lee coined the term cadence to describe the quality in a poem that makes it a living embodiment rather than an act of mimicry, however elegant. Most conventional poetry, Lee observed, is a rather detached sort of statement: a single voice, the poet’s, offers a more or less organized and pleasing declaration about a certain experience or subject. This is the voice of the poet imposing a narrative shape and a “monophonic” logic on his material. But when Lee began writing in Canada in the late 1960s, there were no Al Purdys on the scene, no available vernacular. Poets had little choice but to write with borrowed voices, in literary traditions that belonged to another time and country. It was only by shedding these conventions and playing around in unofficial keys that Lee’s voice limbered up and found its music. The approach to writing that Lee describes is about trusting, and patiently gaining access to, a truth and a pulse that the artist doesn’t make up; they already exist in the subject and must only be revealed. This is the part where craft, dedication, and experiment come in. It’s about paying the deepest sort of attention to the cadence of life as it presents itself to us, not as we imagine or wish it. As I sat there reading, I noticed that the wind had begun to pucker the surface of the lake and move in circles, mysteriously reversing its direction as it often did around four in the afternoon. The weather on the lake never matched the weather report. It had its own cadence. A week later, I was back in the city and had watched Memory and Dying at Grace again. The first I found more spirited and engaging than I remembered; the second, more unbearably poignant. Cadence was still on my mind. I thought that in his filmmaking career, King had done something similar to Lee. 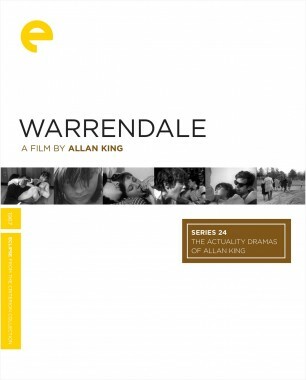 Early in his career—Warrendale was made in 1967—he made a radical decision to reject the conventions of documentary filmmaking, with its sonorous, news-anchor voice-overs and editorial point of view, in order to let the scene in front of his camera breathe, evolve, and surprise us. His documentaries are not poetic declarations, nor reports on certain aspects of being human; they are portals into open-ended, raw moments that feel true and unmediated. This is King’s aggressive artistry at work, of course; the editing of the films demonstrates a cagey ratio of despair to joy, and he knows exactly how far he is pushing us by letting the camera linger on difficult scenes. He pushes for a reason. He makes sure we feel the claustrophobia of being there in the tunnel with his dying characters. 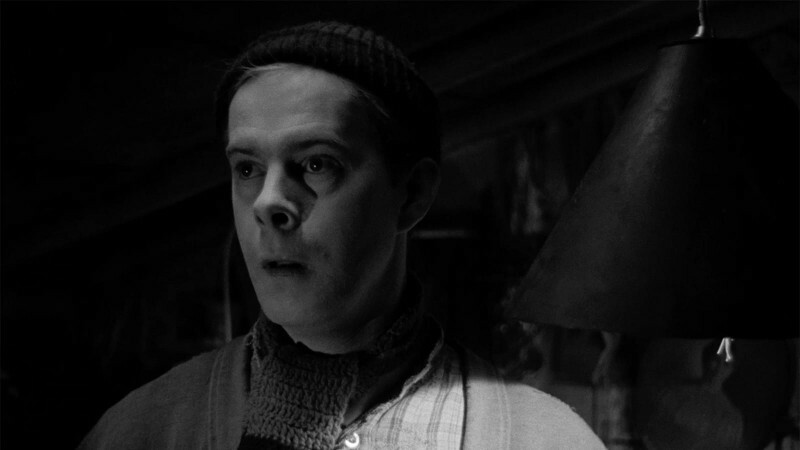 There are protracted scenes of one suffering man, Lloyd, as he noisily struggles to breathe. The sound goes on and on—as it sometimes does in real life. Bravo, I thought, as I turned the volume down. It’s unnerving to be in the presence, even on the screen, of people you don’t know in the process of dying. Despite the apparent eventlessness of Memory and Dying at Grace, there are strong narrative currents in both. 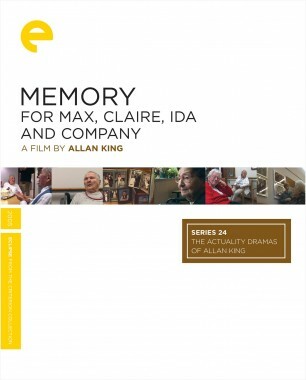 In Memory, the characters suffer from varying degrees of dementia; one of them, Ida, speaks repeatedly and affectionately of her husband (“He was a great guy, my husband; he got the license for this place, you know”). She claims a photo of him still hangs in the foyer of their institution. It’s hard not to doubt her, knowing just how much she has forgotten. Then a staff member, a quiet, empathetic figure who acts as King’s surrogate in the film, wheels Ida down for a tour through the lobby to track the photograph. Their discovery of it is a wonderful moment. Although King takes his time leading us down the institutional corridors and into the private lives of these five people, we become attached to them. We look forward to our favorites coming back on-screen. Sometimes, distracted or callous family members come to visit. They seem to be from another, rougher world. I kept wanting these “outsiders” to leave, because they interrupted the tactful connection King had established with his characters. In Dying at Grace, the narrative is more elemental: the characters are all dying, and the suspense of that process is gripping, if sometimes unbearable. It’s a difficult film to watch, but the characters burn into you. We realize that as they fade away in their beds, they are becoming brighter and brighter in our imagination, and that we’ll carry them forward in our memory. 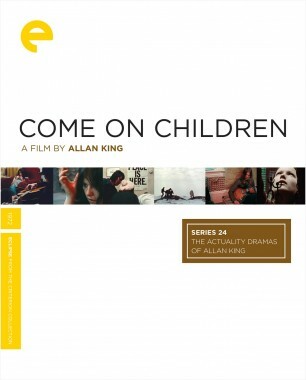 We’re all going to spend time at the bedside of dying friends and family, and King’s film faithfully reflects the jumble of feelings that accompany the experience—sadness and fear, boredom and epiphany, peace and grace. Sometimes there’s a circle of radiance around the dying. King gained access to that circle and slowly brings us to the side of the bed too. It’s tougher up close than we bargained for. People seem to die either too slowly or too quickly. Some seem trapped in their bodies; others ebb away gently, like waves on a beach. It never goes as planned, which is humbling to the dying, and for the witnesses too. In old age and death, the extraneous falls away. As much as he can, King lets the audience grapple directly with the moment unfolding on the screen. He acknowledges the power of “local cadence” and does his best to tap into it.